Ruben Rivers was born October 31, 1918, in Tecumseh, Oklahoma. He enlisted in the U.S. Army in 1942 and was assigned to the 761st Tank Batallion, known as the "Black Panthers" (Sergeant Rivers was of African and Native American descent). 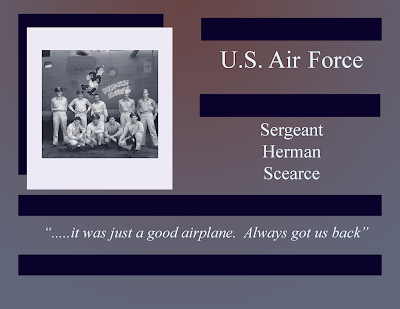 Assigned to George S. Patton's Third Army, the 761st, along with the 104th Infantry were picked to aid in the Saar Campaign. 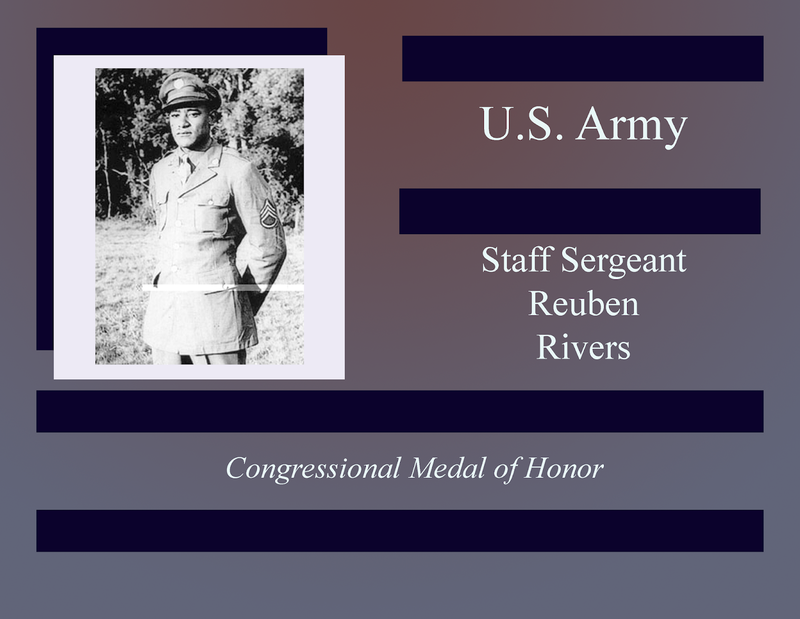 During Staff Sergeant Reuben Rivers military career, he distinguished himself several times. 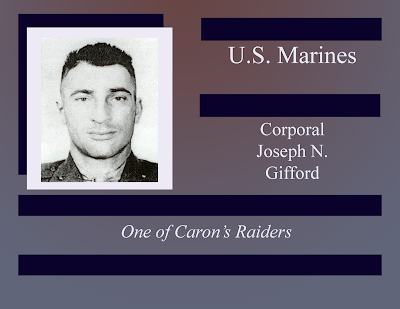 The first, on November 8, 1944, he left his tank and moved an enemy roadblock, using only his sidearm for defense. Later, on November 16, he received severe leg wounds after his tank activated a land mine. Despite orders to evacuate, Staff Sergeant Rivers remained in the field, and on November 19, 1944, underfire, and in the defense of the rest of his unit, located and drew fire from an enemy anti-tank unit, he was killed in action. Staff Sergeant Ruben Rivers is buried at the American Cemetery in Lorraine, France. 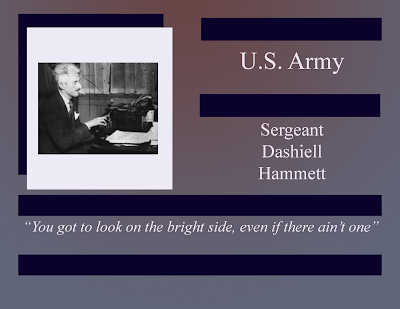 He was recommended for the Congressional Medal of Honor on November 20,1944 (he had previously earned a Silver Star and Purple Heart). 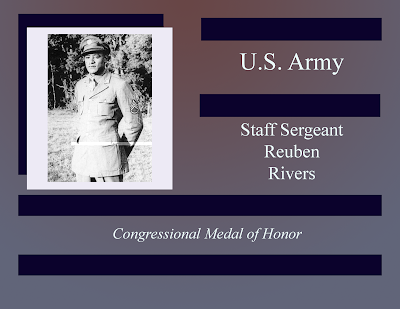 Finally, after a long wait, Staff Sergeant Reuben Rivers (posthumously) was awarded his Congressional Medal of Honor on January 13, 1997.